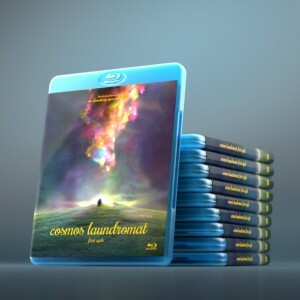 Monday morning, in Los Angeles on the SIGGRAPH convention, we will launch the Cosmos Laundromat pilot online for everyone to watch! 10 AM Los Angeles time, 19h CEST. High quality encoded version in Blender Cloud for subscribers. And of course a lot of tutorials, goodies, extras, making of docus, will get released in Cloud during the coming days (and will get copied to DVD and Bluray and Datacard). great news!…what you guys think about the final result? I am incredibly proud! Another milestone for Blender. Visually stunning, technically moving the barriers higher again, and a film with characters and a story that will absorb people’s interest. i’m wait for this so much time. It will be awesome. Thank you gays for going this movie. I’m so excited to see the results of the most amazing Blender team ever! That is such a fantastic render of victor. 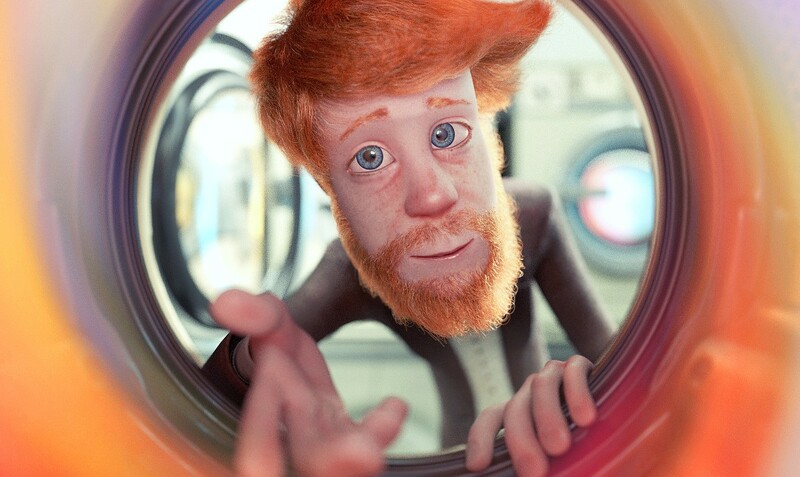 I love it knowing the context of the washing machines and how the character interacts with it. Great visual for promos. Looks awesome, can’t wait to see it! Any updated estimates on when the BluRays will ship? Congrats to BI and all the team. Can’t wait to explore the DVDs. ¡Paciencia, paciencia compatriota! :) Jaja un abrazo! Best Wishes from Spain, it looks great! Great news! Thank you Blender team for this work! Been a crazy ride for you guys I imagine. Great job with the film, I will be enjoying it tomorrow! On which profile will it be aired? BF’s or Project Gooseberry’s? The very best of luck with the premiere to Ton and BI. The results of Project Gooseberry have been well anticipated. I’m so looking forward to seeing the finished film. where will be published the youtube link? The one day Internet fails me! Why??? I believe there will just be another blog post with the youtube link. Probably on the Gooseberry youtube channel. I can’t find the link to the pilot anywhere, how do I watch it? The 12 first minutes install a big suspens and this is just fantastic. Now i want see the second cycle. In blender cloud, you have prepared more of 1 character for second cycle, Why this is not inclued in final step of this movie? I’ve watch the movie on youtube and its awesome! Amazing technical achievement – lighting, textures, physics and colour are all eye-popping. It’s just such a shame that the tone is all so grey, unfunny and weird. Who is the audience? My children love Shaun the Sheep, but they won’t be watching this, especially as the script was ruined with a totally ill-fitting and unnecessary f*** word – take it out before the DVD is pressed. OMG I love it! With all my dreams, I say “THANK YOU”, Ton and all your great friends!! Some truly amazing work. This kind of work makes me a proud Blender user.